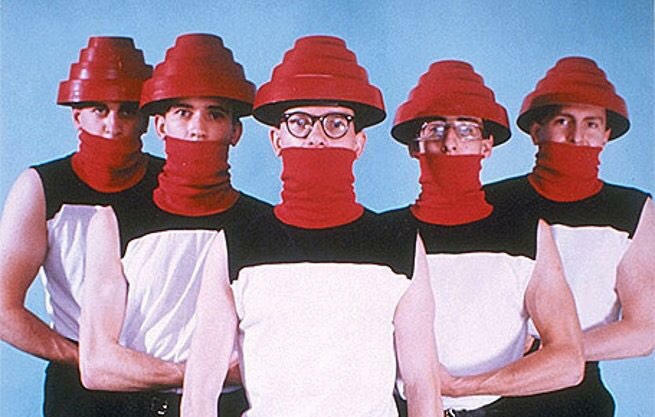 They're not dog bowls or flower pots, though DEVO's iconic red plastic vacuum-formed helmets, their "Energy Domes," have been mistaken for such things. It was designed according to ancient ziggurat mound proportions used in votive worship. Like the mounds it collects energy and recirculates it. In this case the Dome collects the Orgone energy that escapes from the crown of the human head and pushes it back into the Medulla Oblongata for increased mental energy. It's very important that you use the foam insert (which is included with every Dome when purchased from ClubDevo.com), or better yet, get a plastic hardhat liner, adjust it to your head size and affix it with duct tape or Super Glue to the inside of the Dome. 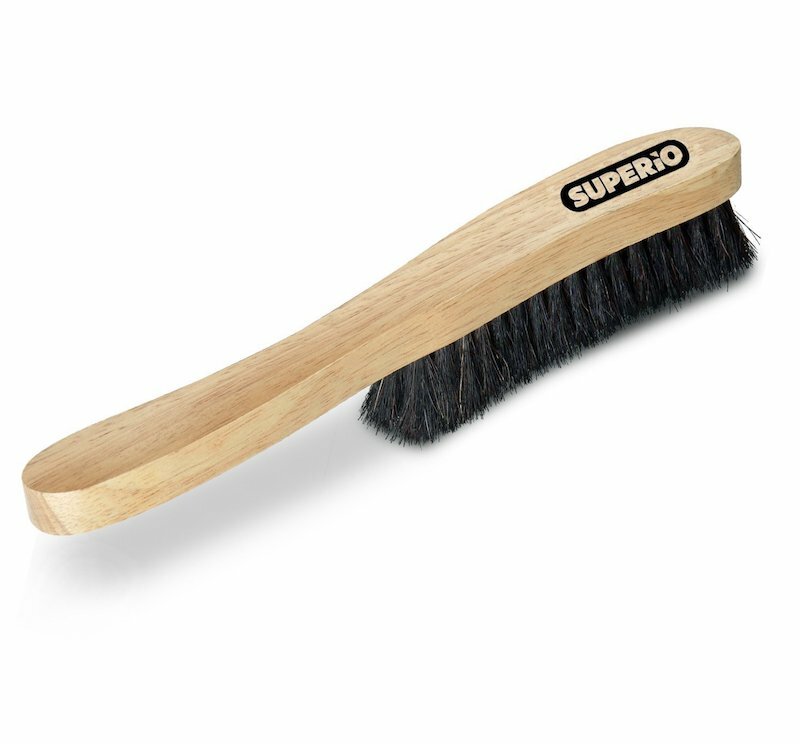 This allows the Dome to "float" just above the cranium and thus do its job. Unfortunately, sans foam insert or hardhat liner, the recirculation of energy WILL NOT occur. We did the red energy dome, which was useful besides being an icon it was a useful icon. You probably know this very well, but your orgone energy goes out the top of your head...and it dissipates out the top, but if you wear an energy dome it recycles that energy. It comes back down and showers back down on you and, among other things, you remain manly, shall we say, for maybe another 150 years of your life, probably. 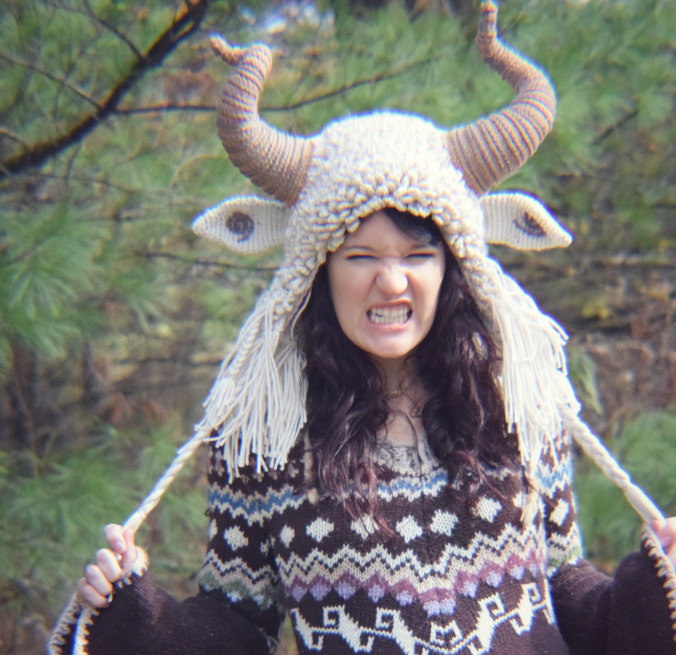 Regina Weiss of the blog Morale Fiber upped her Krampus game this year with this amazing hand-crocheted hat. Even its horns are made of yarn. She writes, "I designed this crazy crochet hat after the traditional European Christmas monster who accompanies Santa to scare anyone who isn't on the Nice list!" Get the pattern for free on her site or support her efforts by grabbing the pdf version for $5.50 at her Etsy shop. This is no normal hat. This is a Slap Hat Extreme. To be clear, it is intended for "tactical" slapping.